The Pakistan Electronic Media Regulatory Authority (PEMRA) has suspended the license of Geo News for 15 days. According to PEMRA spokesman, the license was suspended on a complaint filed by the Defence Ministry earlier. 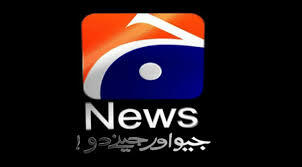 Geo News has also been fined Rs 10 million to be paid before the expiry of the suspension period. The order stated that in case of non-payment of fine, the suspension of the license will continue. The authority further decided that in case of repeated violation by Geo News, proceedings for the revocation of the license will be initiated. According to a statement by Geo, the channel was not provided any evidence nor was its stance heard by PEMRA, which it adds, has already been punishing Geo News which remains shut in 90 per cent of the areas in Pakistan for the last 45 days. The statement added that the channel has already apologised and had incurred Rs 2 billion in losses. Geo News was facing the complaint after airing a hatred transmission against a secret agency and its chief after an attack on its anchor Hamid Mir in Karachi in April.